Abbot George Burke (Swami Nirmalananda Giri) became a monk in 1963, and has spent much of his life traveling in India spending time with some of the most renowned spiritual figures of his time. He is the founder and director of the Light of the Spirit Monastery in Cedar Crest, New Mexico, USA. In India, he had the opportunity of meeting Swami Sivananda of Rishikesh and Anandamayi Ma, and also many lesser known but spiritually advanced souls. During his first trip to India he was made a member of the ancient Swami Order by Swami Vidyananda Giri, a direct disciple of Paramhansa Yogananda. For many years Abbot George has researched the identity of Jesus Christ and his teachings with India and Sanatana Dharma, including Yoga. It is his conclusion that Jesus lived in India for most of his life, and was a yogi and Sanatana Dharma missionary to the West. 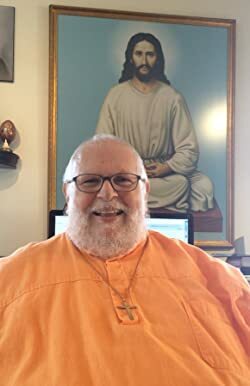 Please enter your email address and click the Follow button to follow Abbot George Burke (Swami Nirmalananda Giri) !